Having started her career as a fast-track store management trainee for McDonalds, Clare Bailey went on to work with leading retailers such as M&S, Dixons and Argos. She moved swiftly into management roles before being headhunted into senior consulting roles with global software giant SAP, and international management consulting brand, Accenture. Today her brand portfolio includes The Retail Champion, The Retail Conference, the Future High Street Summit and the Support for Independent Retail campaign. In addition, she is co- founder & MD of Mobaro Retail UK, a non-exec director of Beed Virtual Assistant Services and co-founder and organiser of the Digitial High Street Conference. Clare has become an influential voice in her field, which has resulted in her becoming a regular media contributor and sought-after conference speaker. 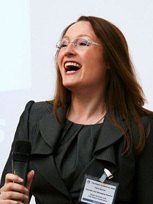 Often seen on ITV’s Good Morning Britain, BBC Breakfast, Sky News, and Chanel 5 (to name a few), Clare speaks on a myriad of retail, high street and consumer issues – but is adept when it comes to explaining the context behind retail trading results, newly released data, and government stats, in a palatable and informative manner. Clare regularly hosts special features to support the mainstream broadcast companies including TV and Radio. With a corporate background in senior retail, consulting and technology roles, coupled with her experience of creating and running her own business, has enabled her to be equally capable whether consulting to global brands or micro businesses. This unique blend has not only positioned her as a leading expert in all things retail, but has enabled her to add meaningful commentary and insight to the debate around the future of the high street, and, how technology is driving fundamental change in the way consumers, and businesses, interact. 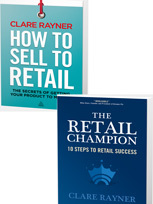 The Retail Champion (2012): Provides an insight into the knowledge and skills needed to develop a small retail business into a scalable and saleable one. 10 steps are outlined that helps retail business owners to create their own action plan through robust and repeatable processes and systems. How to Sell Retail (2013): 5 logistical sections are broken down into 12 steps in order to teach you how to develop a business into a bigger enterprise. She has provided contributions to various academic texts, including Retail Marketing Management and also writes for press and content agencies, providing features, articles, blogs and opinion pieces. When asked to describe what she most loves about retail consulting it is typically the opportunity to “dig deep”, getting “under the bonnet”, to leverage the business data to uncover the insights that lead to “lightbulb moments”. She also loves working on business change programmes that centre on improving the processes and systems to increase profitability by supporting more rapid, better informed decision making, improving the customer experience, or simply by become more efficient and streamlined. In this respect, she considers herself a “business engineer” with a brain like a relational database. Due to her years of experience, her logical, objective approach, her quick, rational thinking, she is known for being able to cut through complexity, seeing right through to the crux of issues, finding creative solutions that others may have overlooked. Clare can introduce listeners to the possibilities available to them online – and, more importantly, give them a kick-start on their digital journey. Using her in-depth knowledge on digital matters, she is able to explain the importance of digital and real-world engagement, and the best ways to combine the two for a fantastic customer experience. Using her past experiences working with SAP and Accenture amongst others, she can explain the ins and outs of e-commerce, essentially enabling retailers to be open 24/7 and boosting their trading their figures. She can also demonstrate how, contrary to popular belief, digital presence doesn’t necessarily mean the end of physical shops – in fact, e-commerce can instigate more shops opening and help your high street thrive. 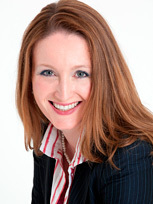 Clare has been described by many as quite simply a walking encyclopaedia on retail. 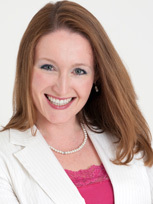 She is well known for delivering detailed retail analysis and insights into retailers’ business performance, challenging the status quo and providing clear recommendations that deliver maximum reward for minimum investment. Clare is considered a highly analytical individual who can summon and assimilate facts and figures to suit her point of view. Presenting in an entertaining way, she provides accessible and interactive introductions into a topic with the aid of examples and best practices relating to daily work.